You might think the nightlife and entertainment in a country with 5,000 years of history would be out of touch and antiquated. In reality, the three major cities in China have all the fun and exciting bars and clubs one would expect to find in New York, London, Sao Paulo or Barcelona. 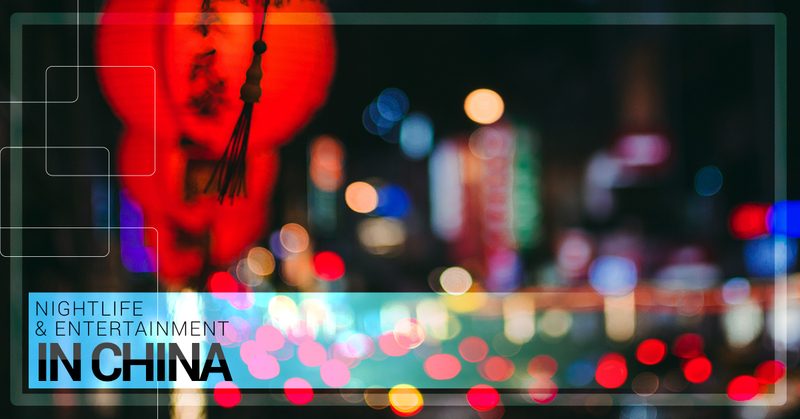 Whether you like to be at the hottest and loudest dance club in town or a nice quiet bar hidden down a small hutong, China has amazing hotspots. China’s key cities each have special parts of town known for their hopping nightlife. In Beijing, Sanlitun is where you want to go. For Shanghai, you’ll want to head over to The Bund and the French Concession. If you’re in Guangzhou, the top three locations are Huanshi Road, Bai-e-tan bar street and Yanjiang road. Chinese people love to dance. You can see evidence of this everyday just walking around the city. The elderly generation dances daily in parks all around China. If you’re outside during the day until about 21:00, you can partake in a choreographed dance or grab your partner for some ballroom dancing. After 21:00, the younger generation will be at the clubs. You’ll find dance clubs in China playing every genre of music possible. The younger dancers might not be as coordinated or musically attuned as the older generation, but they are really there just to meet new people or hang out with friends, not show off their dance moves. What’s a night out without a little drinking? China has some of the highest percentage alcohol in the world, between 40-60%. If that’s a bit too strong and you’d prefer something a little more familiar, most bars carry imported brands of alcohol and make a wide variety of cocktails. The world’s top artists as well as famous Chinese artists tour China’s major cities every year. Not matter what style of music – indie rock, classical, hip hop, jazz, heavy metal or even Chinese opera – you like, you’ll be able to buy tickets to go see a great show in China pretty much every night. The most popular form of late-night entertainment in China is KTV. China’s KTV, otherwise known as karaoke television, is different than in the West. In China, you grab a group of friends and head over to a KTV club where you will spend the next several hours in your own private room. You’ll order food and drinks and have a chance to sing and dance to whatever song you’d like to hear. The display might be in Chinese, but once you figure out how to work it, most clubs have a wide variety of songs in English. Rest assured, you’ll find every popular Western artist from Britney Spears to Elvis. You won’t even be bored while your Chinese friends are singing their favorite songs with lyrics you can’t understand. Most of the music videos playing are extremely outdated and have nothing to do with the song, which provides a bit of comedy to the whole evening.